What makes Autumn so special? Autumn arrives in gold. The brilliant colors of the leaves stand out against the melancholy backdrop of these low-sun days. There’s a crispness in the air as if the earth is snapping to attention, cracking like a fresh apple, while presenting a slow fade to winter. 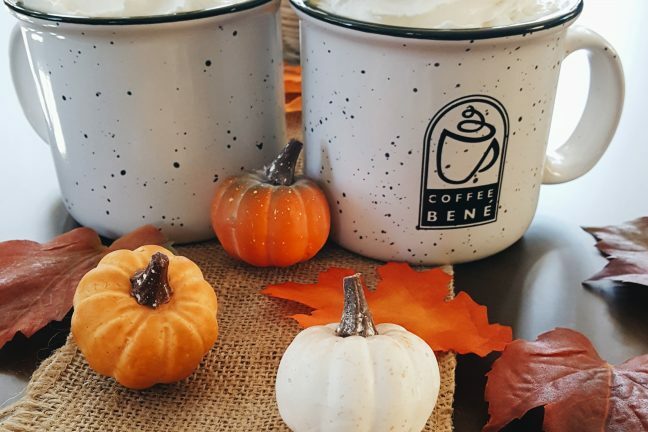 We snuggle in for comfort, sipping on lattes decorated with cinnamon and feasting on caramel apples as we gradually dip our toes in the impending holiday season. There’s a tempered nostalgia to the autumn season. Those transitional moments where we are reminded of all the changes happening in our lives, and perhaps all that remains the same. Fall is a time for reminiscing. My favorite fall memories are visiting the pumpkin patch every October when I got to pick out my pumpkin and even design my own scarecrow. It’s #basic, it’s jolly and bright and one of the most vibrant vegetables found in the garden. In spite of the memes and the jokes, I understand why pumpkin is such a staple fall flavor. It’s loaded with good spice and even better memories. So why not enjoy it in a latte every once in a while? The world is too chaotic to not sit back and enjoy the little things. Autumn is the herald to leaves crunching beneath our boots as we sip on cinnamon ciders grateful the days of sticky humidity have passed. The weather affects our appetites as we turn away from the light and healthy foods of summer. We want comfort food, we want loaded mashed potatoes and pumpkin soup. There’s almost zero guilt when Thanksgiving rolls around and we go back to the table for that third helping of turkey. And the leftovers which can last for weeks, yes please. The joy of watching the leaves change into their red, yellow and orange outfits and litter the ground with color soon gives way to snow. Soon, we are savoring hot chocolates stirred with peppermint and unapologetically staying in on weekends bundled in comfy socks and blankets. The holiday season in full swing, we welcome the nostalgic scents of cinnamon and cloves. Apples and pumpkins are replaced with peppermint and eggnog. We are busy shopping, decorating, wrapping, cooking, baking, travelling, and soon all that was calm and sweet about Autumn will have faded. Here’s too hoping the world falls slowly while the leaves are still changing, as we are reminded of ourselves and what we love most about this season.